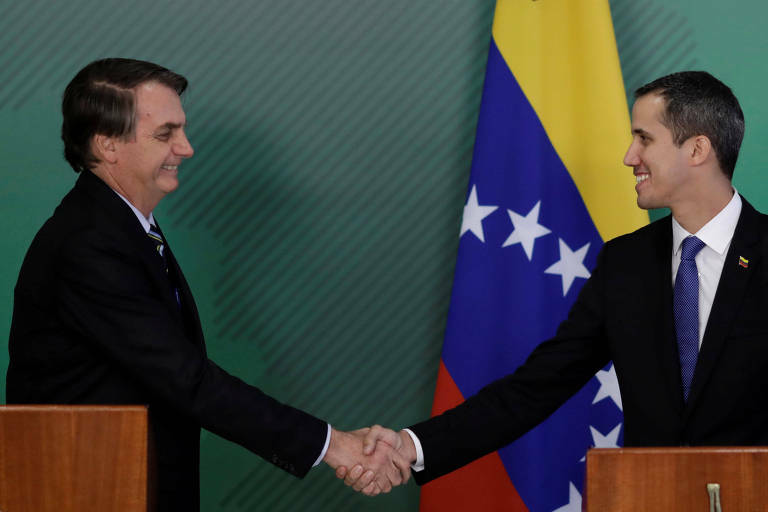 President Jair Bolsonaro gave Venezuela's opposition leader Juan Guaidó a treatment equal to other heads of state that visit Brazil, a move that displease the military ranks inside his administration. Senior cabinet members that belong to the Armed said on background to Folha that they thought the meeting should have been a more discreet affair, as it was first planned. In order to avoid a diplomatic issue with Venezuela, the idea was the Guaidó entered and left the presidential residency by a side entrance, and would not give any public speeches or press conferences. His public appearance would happen as of his meeting with Foreign Affairs minister Ernesto Araújo alone, without the president. However, the president changed his mind in the last minute and had Guaidó make a public speech alongside him in his official quarters, something usually reserved only for foreign acting presidents in official visits to Brazil. The servicemen are afraid that the act can be seen as an insult to Nicolás Maduro, and that could would the relationship between the two countries at a moment that tensions are high at the border. The senior officers feel that it was more advisable for president Bolsonaro to keep his silence and avoid public appearances alongside Guaidó.